Ever since the Lakers made the move from Minneapolis to Los Angeles in 1960, they’ve embraced the Hollywood lifestyle. The Lakers have always embraced mixing sports with entertainment which has helped to make their brand one of the best in all professional sports. Another aspect is that the Lakers have always been synonymous with winning as their 16 NBA Championships are the second most in league history. But recently the Lakers have gotten away from their winning reputation as it is now six straight seasons that they’ve failed to make the playoffs or compile a winning record. And although that the Lakers have some household names on their roster, this is an organization that is mired by dysfunction. Following the death of longtime team owner Dr. Jerry Buss in 2013, there was a power struggle between two of his children (Jeanie and Jim) over the control of the Lakers franchise. Ultimately it would be Jeannie who won out and she would soon send her brother packing. 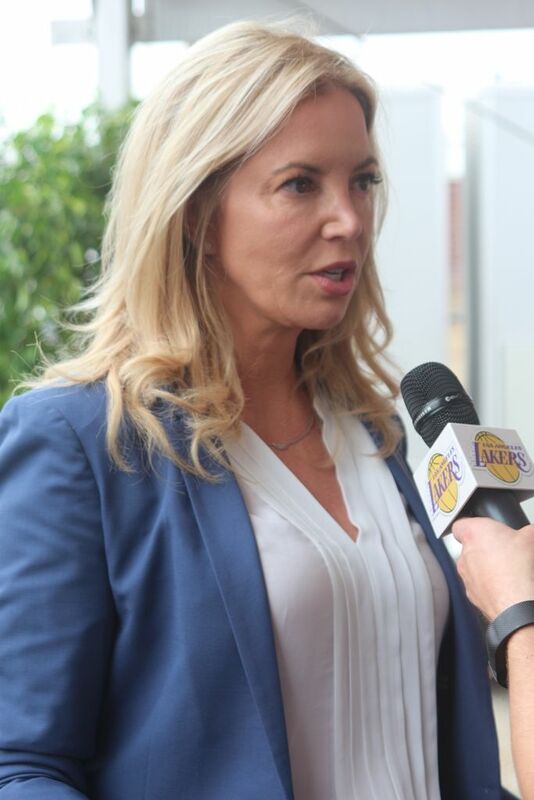 And the Buss that was running the show for the Lakers was not afraid to put her own personal stamp on the iconic franchise as she would name Earvin “Magic” Johnson as the team’s president of basketball operations in 2017. Johnson is arguably the best point guard in NBA history as he helped the Lakers win five NBA Titles during the 1980’s. And since Johnson’s playing days ended, he has gone on to succeed with many business ventures which includes real estate, Magic Johnson Theaters, and being a part owner of the Los Angeles Dodgers. But the “magic touch” that the kid from Lansing, Michigan has always had with everything that he has put his hands on was not on display in his front office role with the Lakers, and in a surprising move to everyone, he stepped down from his post this past Tuesday. In two-plus years as the Lakers president of basketball operations, Johnson appeared to be shaping the franchise in his own image. Johnson’s first order of business was to trade young point guard D’Angelo Russell to the Brooklyn Nets in 2017 which paved the way for the Lakers to draft point guard Lonzo Ball second overall that year. But Johnson and the Lakers underestimated the elephant in the room which is Lonzo’s outspoken father LaVar who has never been afraid to voice his opinion which has included him consistently being critical of Lakers head coach Luke Walton. The Lakers appeared to be weathering that storm while the young Ball’s game was improving as he was making strides to being the team’s point guard of the future. Last summer Johnson was able to sign veteran small forward LeBron James which gave the Lakers the star power that they’d been lacking since the retirement of Kobe Bryant. Johnson also signed veteran players such as point guard Rajon Rondo and shooting guard Lance Stephenson last summer, while only giving them one-year deals as he was seeking to have salary cap flexibility. Financially the Lakers were in a good position due to the fact that they were now in position to sign two players to max contracts this summer to pair with James as Johnson was putting together a Lakers empire in the mode of the deceased Buss, and the team’s former general manager Jerry West. But neither Johnson nor the Lakers could shake the dysfunction monster. As much as Johnson wanted to turn around the fortunes of his beloved Lakers, his tenure in the team’s front office was doomed from the day that the ink dried on his contract. Johnson inherited Walton as his head coach due to the fact that Buss is a fan of his. During Johnson’s time with Lakers, he never gave Walton a glowing vote of confidence, while the cherry on the top came last summer during the courtship of James. The meeting that led to James joining the Lakers was attended by Johnson, James, and new Lakers general manager Rob Pelinka, but Walton was nowhere in sight, and that slight on Johnson’s part has only added to an icy relationship at best between James and his head coach. Like Johnson, James has never thrown his full support behind Walton, and if your team’s best player does not respect the head coach, how can we expect the other players on the team to throw their support behind him? Johnson’s biggest mistake came earlier this year during the Lakers public courtship of New Orleans Pelicans power forward Anthony Davis. Johnson, James, and the Lakers figured that this would be a piece of cake to acquire Davis via a trade in order for Los Angeles to have another superstar wearing the purple and gold. And in doing so Johnson was willing to part with his key youngsters in Ball, power forward Kyle Kuzma, and shooting guard Josh Hart. However Johnson, James and the Lakers didn’t anticipate the blow back that they would receive as the majority of the team owners around the NBA had grown tired of James playing the general manager role and handpicking the roster around him. This forced Pelicans general manager Dell Demps to consistently turn down each lucrative offer that Johnson sent his way which included players and multiple first-round draft picks. And when the trade deadline had come and gone, Davis was still in New Orleans. The Lakers never recovered from the botched trade as their youngsters felt unwanted, and the result would see Los Angeles going from being a lock for the postseason, to a team that finished with a losing record for the sixth consecutive season. But Johnson was not the only one who had egg on his face as James’ handpicking style finally blew up on him as the players tuned him out as well. And thus for the first time since 2005, James will be watching the NBA Playoffs from home. So now the Lakers have gone from being a team that had their sights set on striking it big in free agency this summer to a franchise that will head into the summer with more questions than answers. The NBA is not going to allow Davis to be traded to the Lakers in the same fashion we saw the botched Chris Paul trade go down years ago. And as James has developed a reputation of throwing his teammates under the bus, not taking responsibility, and having drama surrounding him, it is not a lock that the Lakers will strike it rich this summer in free agency. These are not your father’s Lakers as the head coach and star player don’t get along, while the owner and former team president were not on the same page either, and when you have that much dysfunction, you’re left with a result where the team does not win. 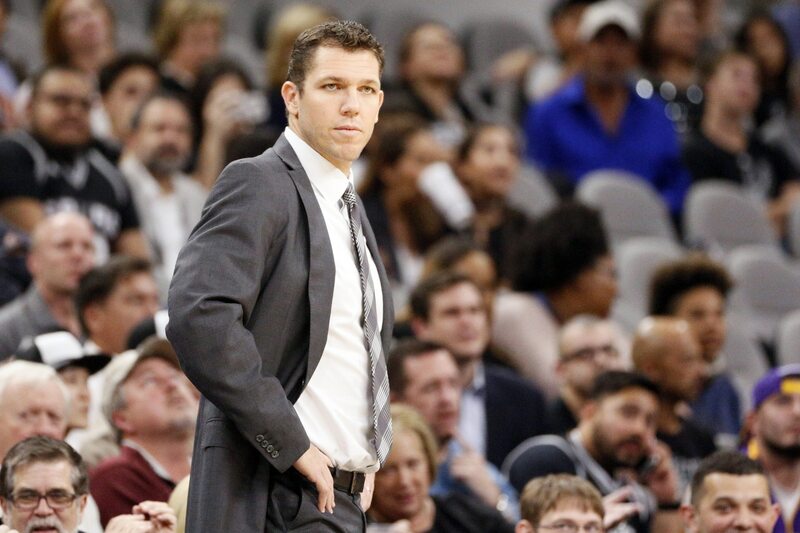 Although that Johnson is no longer calling the shots for the Lakers, it does not guarantee that Walton will be the team’s head coach next year, but this entire franchise needs to be re-evaluated. Johnson was hired by Buss for his effectiveness as a businessman along with his link to the franchise, but she hired someone that had no prior experience in regards to running an NBA front office and the same can be said about his protege Pelinka who is a sports agent. Johnson was able to sell James on the Lakers because they each felt that it would be an open and shut case in regards to turning this franchise around, but when the going got tough, Johnson left the aging superstar holding the bag. And although that James could care less about defensive basketball as he is now focused on padding his offensive stats, it is not out of the realm of possibilities to see Buss trade him this summer. Yes, James brings star power to the Lakers, but the fan base in Southern California has never, nor will they ever fully embrace him as they are still enthralled with Bryant. Buss knows that, and just like she made her mark by winning a power struggle with her brother to run the Lakers, don’t put it out of the realm of possibilities that she makes another power play this summer. For years the Lakers organization was a well-oiled machine as Buss signed the checks, while West built the roster as the team’s general manager. However this now a franchise that is looking on the other side of the Staples Center and seeing the Los Angeles Clippers who have West as an adviser being the more stable franchise. Year by year the dysfunction that is surrounding the Lakers keeps getting worse, and heading into the summer, the only things that are guaranteed with this franchise are that they’ll continue to wear purple and gold, while also playing their home games at the Staples Center.